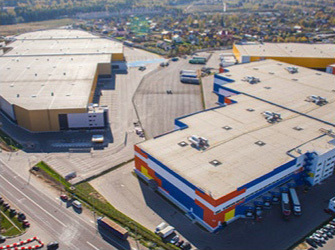 All warehouse facilities of the group are licensed by the Ministry of Health Care and Social Development of the Russian Federation and fully meet all requirements set for pharmaceutical warehouses both by Russian and international standards. The company services only shipments of pharmaceutical products and medical products, including dietary supplements and beauty care products. Operations required for custom clearance of goods. The terminals have areas for shelf and floor storage and office premises. Logistic structure of the terminals provides us with the capability to accept and dispatch goods around the clock. carry out subsequent acceptance control of delivered goods. Rooms with special storage conditions, including for storage of narcotic and psychotropic substances. Availability of special zones at all warehouses of the group allows us to offer customers any temperature range required for storage of any type of pharmaceutical goods intended for medical use. subject to withdrawal from civil circulation. The need to organize such a zone arises for most of our customers. This is a specially designated zone (or room) organized within the main storage zone to store samples of pharmaceutical goods, which are not intended for sale. Archive samples are stored in this zone throughout the shelf life of the respective pharmaceutical product in storage conditions required by the manufacturer. Such samples may be used when necessary, for example for the purpose of confirmation of quality of respective pharmaceutical product in the process of selected government control or in other situations by decision of the Customer. The zone is always labeled by the corresponding ID plate. In addition to pharmaceutical products our warehouses are used for processing and storage of medical devices, beauty care products and dietary supplements. For proper storage of these types of products specialized zones are allocated. Racks and bins have сorresponding ID plates. In the process of preparation of the licensed zone, we negotiate with the customer the product placement matrix. Using the computerized warehouse management system we allocate (reserve) special zones for placement of respective products. This zone is designed to control orders picking process. Placement, rigging and securing of cargo to ensure safe and proper transportation. During the process of validation, a temperature map of the premises was made. All refrigeration equipment used at the group’s warehouses undergoes regular validation procedure. Validation of LEAD WMS/WMS and Manhattan SCALE computerized warehouse management systems was carried out with assistance of an independent consultant which had had experience in validation of computerized systems and qualification of IT infrastructure in Europe for such companies as Sanofi Aventis Pasteur, Novartis Consumer Health, Galderma, UCB, Pierre Fabre, GlaxoSmithKline , Schering, Roche, Merck, SPMSD, Medtronic, etc. Proper temperature and humidity are maintained in all warehouse premises to meet requirements of granted licenses and manufacturers’ requirements in respect of storage of various types of pharmaceutical products, which ensures safety and integrity of the pharmaceutical products subject to their chemical, physical, and pharmacological properties. In order to ensure so called routine monitoring, the warehouses are equipped with testo Saveris climate control system that allows us to monitor storage conditions 24/7. The system provides for emergency warning if the monitored parameters reach the “alarm” and “action” levels. We are committed to guarantee that quality of products manufactured according to GMP and imported in Russia from the manufacturer’s plant is preserved, as well as to guarantee that quality of products shipped from a specialized pharmaceutical operator’s warehouse is kept unchanged. Unloading palletized goods to the warehouse (eighteen-wheeler) — minimum time — 20 minutes; average time — 30 minutes. Unloading non-palletized goods to the warehouse (eighteen-wheeler, sorting included) — minimum time — 2.5 hours; average time — 4 hours. Time of shipment of completed orders to customers from the warehouse — 30 minutes per eighteen-wheeler (from the time the truck is placed for loading). Time of picking an order from the moment the respective request is received — from 20 minutes to 2 hours (depending on the volume and structure of a specific order). Processing of defect and returned goods, storage of control samples, etc. Automated dock-type doors with hydraulic ramp (dock leveler). The standby power generators are installed at each operating site and ensure uninterrupted power supply which is important for maintenance of required temperature regime for stored pharmaceutical products, assurance of operation of all warehouse systems and customers’ communication with the terminals.